Bath's European Champions Cup game against Toulon, postponed after the Paris attacks, will be played on the weekend of 8-10 January. Champions Cup matches involving Munster, Glasgow Warriors and Ulster will take place over the same weekend. Bath's Premiership fixture with Sale, originally set for 8 January, will be rescheduled for later in the season. Round 12 games in the Pro 12 affecting Glasgow, Newport, Cardiff, Ulster and Munster will also be rearranged. The exact dates on which the Champions Cup fixtures will be played are set to be announced in the next few days. 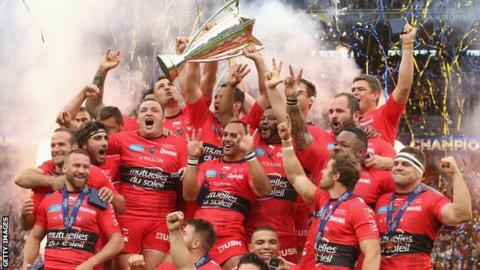 All Champions and Challenge Cup fixtures in France were postponed in wake of the attacks on 13 November, in which 130 people died.